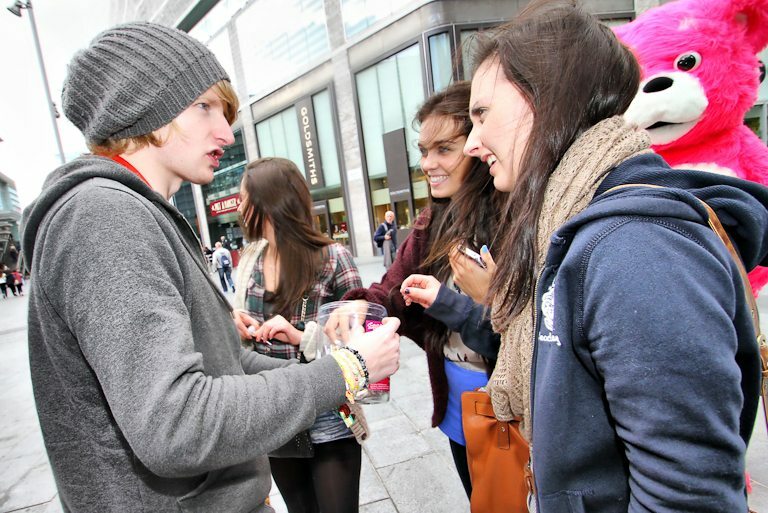 The “Liverpool One Student Takeover” event took place in and around Paradise Street on October 3rd 2012. 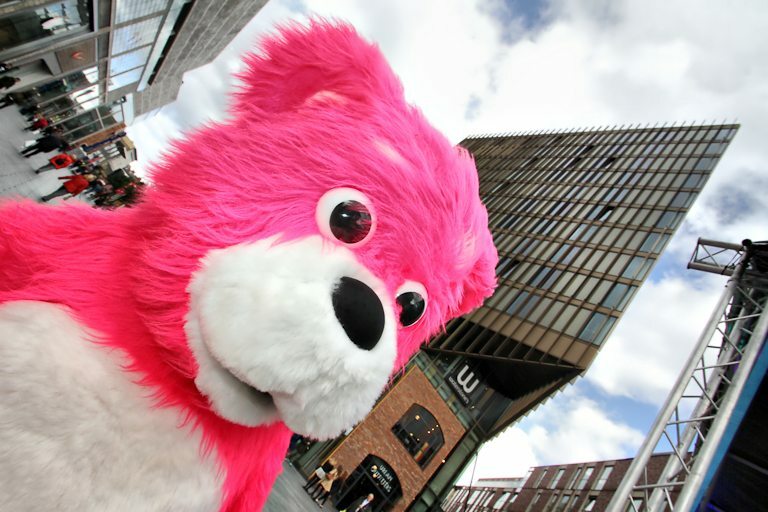 The event’s purpose was to promote the Liverpool One shopping area to the newly arrived freshers. 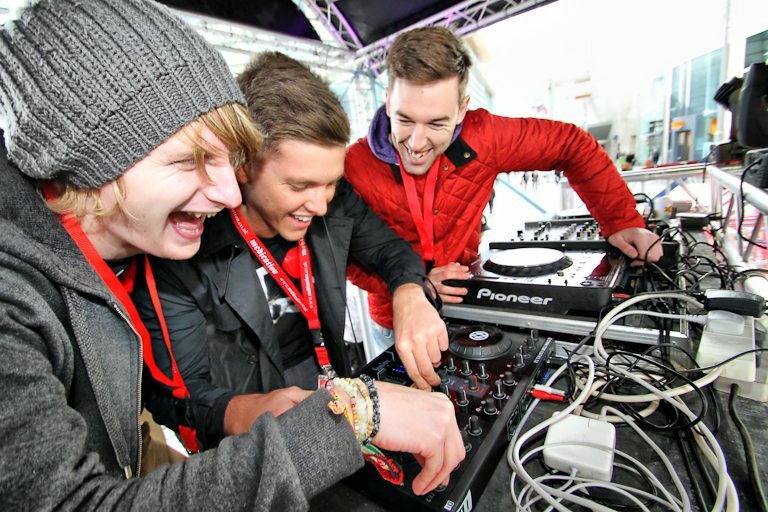 My brief was to photograph around the main DJ arena in Paradise Street. 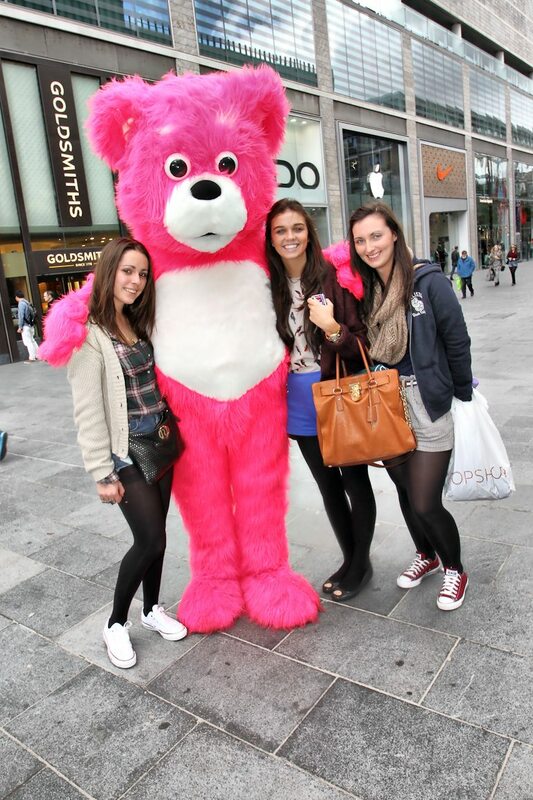 This included photographing some of the students with a huge 7ft neon pink bear! 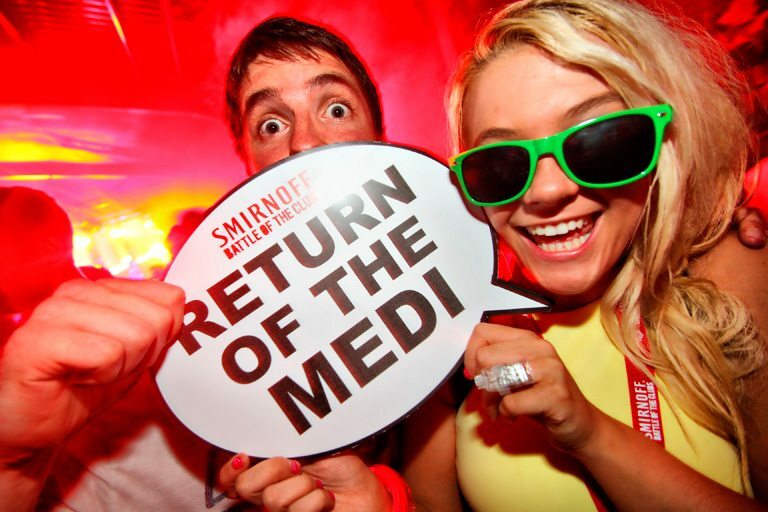 The DJs were provided by local radio station Juice FM and the student nightclub Medication. Lollipops were provided for anyone who wanted one!